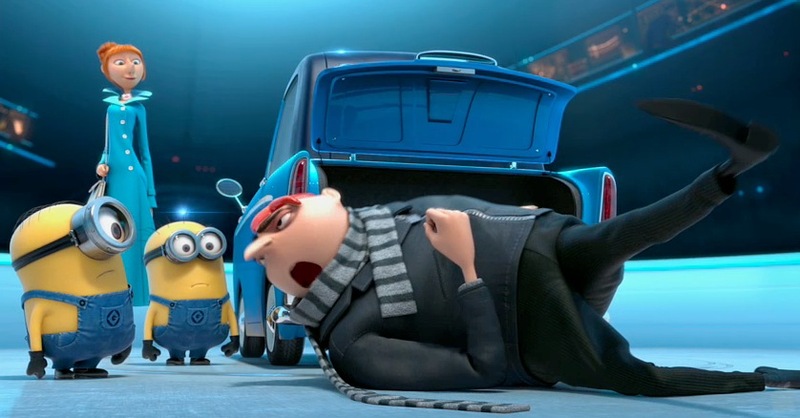 We fell in love with villain turned good guy, Gru (who possesses the voice talents of Steve Carell) in Despicable Me back in 2010. Now Gru is back three years later and leaves no doubt within the first five minutes that his villain days are far behind him. Now he donates his life to being a devoted father to Margo (Miranda Cosgrove), Edith (Dana Gaier) and Agnes (Elsie Fisher). His peaceful world is disrupted when he is confronted in his yard by Anti-Villain League agent Lucy Wilde (Kristen Wiig), who wants him to join forces with the League and track down a villain involved in some very evil doings. Gru finally gives in after realising how proud his girls would be of him, and ends up finding a bit more than just the villain. Could this once bad guy have also found his match in Lucy Wilde? 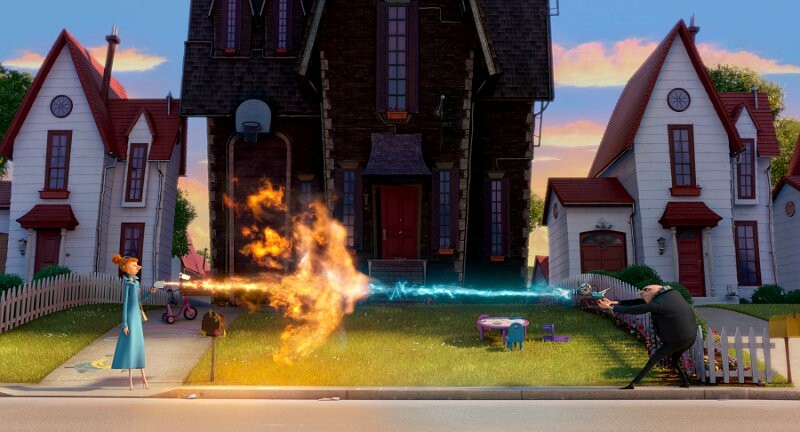 Despicable Me 2 is a very likable film for exactly the same reasons that Despicable Me was. It is one of the truly great animations to have been released in the past few years due to its wide audience appeal. Both films entertain and delight audience members of any age and background. It is unlike other animations and much less clichéd than most. It is rare to have the lead character being one that is not particularly good looking, nor charming and likable in the usual fashion. Gru still physically resembles a villain and isn’t the most personable of characters, but he still carries himself in a way that he is likable and the audience roots for him until the very end. It is a very amusing and unique story with a great screenplay written by Ken Daurio and Cinco Paul. 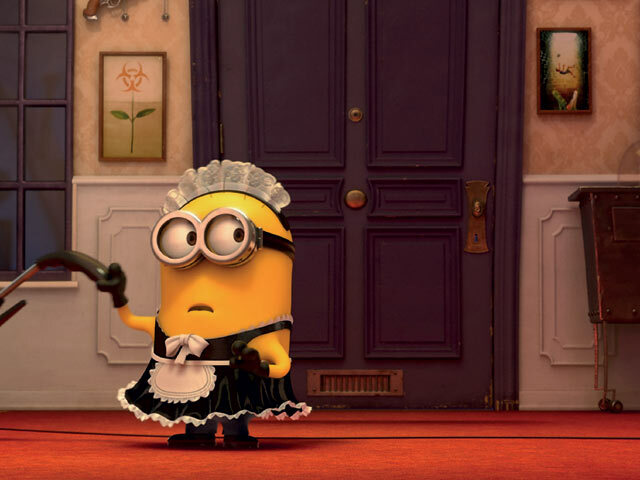 The film is very funny, with many of the laughs being supplied by the ever popular minions. One thing you can tell from the first film to the second is that the minions were so popular in the first that their role in the second film has been made bigger and the film is largely about them. The animation is also superb. There are some amazing images that are to be seen and the colour in the film is just exquisite at times. 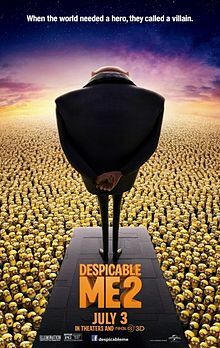 Steve Carell is again wonderful in backing up his vocal performance as Gru from Despicable Me. What is particularly wonderful about his performance is that the whole film Carell is in character and his voice is unrecognisable as his own. This is the same that can be said for Russell Brand and his Dr Nefario. It’s not the distinctive Brand voice you are used to hearing, but a complete character voice which is perfect for the character. Kristen Wiig is also very good as Lucy. Her voice is still her own, but you can tell she has a great amount of fun using for Lucy. It does help if you have seen Despicable Me to begin with, but you will be still be entertained and find a laugh or two with Despicable Me 2 even if you haven’t.